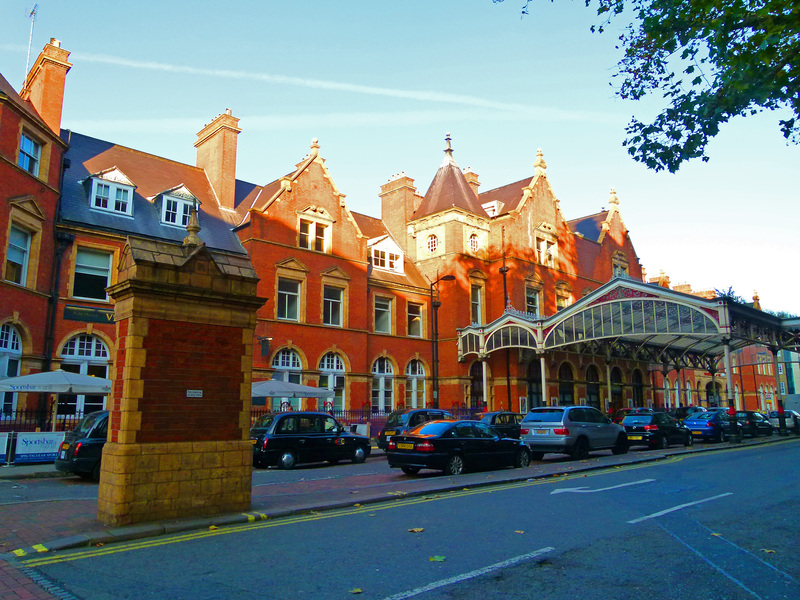 Opened in 1899 and tucked away in a quiet backwater to the west of Regent’s Park, Marylebone is the youngest of London’s major railway terminals. It is also one of the smallest; factors which ensure the station remains relatively peaceful and unspoilt. Trains from Marylebone run out to Hertfordshire, Buckinghamshire and on into the West Midlands. Marylebone Station was originally constructed by the Great Central Railway; an evolution of the Manchester, Sheffield and Lincolnshire Railway which changed its name in anticipation of the London extension. Due to this rather sophisticated opposition, the Great Central Railway Company were required to fork out huge sums of money in order to fight their corner and, by the time the line reached Marylebone, they were pretty hard up! Consequently they did not have much left to spend on the station building, hence its diminutive size and unpretentious nature. When the terminal was unveiled in 1899, so too was the Grand Central Hotel, which stands opposite the station and is linked via a canopied walkway. Today, the hotel is known as The Landmark and is one of the finest in London. However, despite the five-star luxury, it is not without controversy. In February 2010, a vicious murder took place in one of the hotel’s exclusive suites, when a Saudi Arabian prince beat his man-servant to death. After being tried at the Old Bailey, the prince was found guilty, and sentenced to a minimum 20 years in jail. The line into Marylebone was the brainchild of Salford-born, Sir Edward William Watkin; an industrialist who devoted his life to the business of railways, both at home and abroad. As well as serving on the boards of several UK rail companies, he also become involved in the rail networks of Greece, Canada, the USA, India and the Belgian Congo. By the time the Great Central Railway was being constructed, Sir Watkin was rather elderly. However, this proved no hindrance to his entrepreneurial spirit. Initially, he’d envisioned the Great Central as a railway linking Sheffield, Leeds and Manchester to London… and then onto France. In other words, Watkins was one of the earliest advocates of a Channel Tunnel! Perhaps inevitably, this overall plan never came to fruition, mainly due to economic and political reasons. Sir Watkin’s vision would have to wait 95 years, with London and Paris finally being joined by rail in 1994. Sir Watkin wasn’t one to rest on his laurels and, whilst his Great Central Railway was being constructed, he had another project on the go- the ‘Watkin’s Tower’. 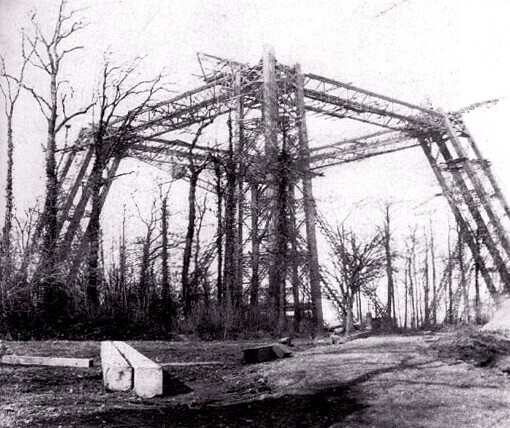 Construction on the folly began in 1892, in the Wembley Park Area. It was hoped that the tower, which was a short train ride from Marylebone Station, would prove to be a popular attraction and sound revenue earner. The planned design was grand to say the least. The proposed eight-legged tower was earmarked to contain restaurants, theatres, ballrooms, exhibition rooms and a Turkish bath. After Monsieur Eiffel’s refusal, the role was handed to Sir Benjamin Baker; the designer of Scotland’s magnificent Forth Railway Bridge. Of course, if Watkin’s Tower had seen completion, it would now be a major London landmark, as famous as Buckingham Palace and St Paul’s Cathedral, and visible from all over the city. Sadly, as its present day absence suggests, the construction was doomed to fail. As well as the inevitable financial problems which seemed to plague Sir Watkin, the only section which was built experienced difficulties. Built on marshy ground, the foundations began to shift and, when the design was downgraded from eight legs to four legs, the extra pressure exerted led to subsidence. 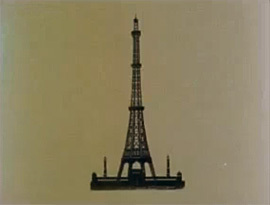 The maximum height the Tower reached was a pithy 154 ft. (the Parisians could rest easy!) and, although people were initially drawn to view the construction, visitors soon began to dwindle. Watkins died in 1901 and, a year later, the tower was condemned and labelled unsafe. The magnificent arch of the new Wembley can be seen all over London- so, next time you get a glimpse, why not take a moment to imagine a huge, Parisian-style tower in its place! Balcombe Street is a quiet, residential road which runs parallel to the station. The siege which took place upon it was carried out by Hugh Doherty, Martin O’Connell, Edward Butler and Harry Duggan; members of an IRA cell who were carrying out a bombing campaign on the British mainland at the height of the Northern Ireland troubles. The event began in Mayfair; at Scotts Restaurant on Mount Street; an exclusive eatery which the IRA considered to be a ‘ruling class’ establishment, and therefore a plausible target. The terrorists had already attacked the restaurant the previous month; hurling a bomb through the window- an act which resulted in one death and fifteen injuries. On their second attack, the gang used a stolen Ford Cortina to carry out an audacious drive-by shooting; firing gunshots through the window of Scotts. The pursuit sped for several miles across the West End, before the IRA members abandoned their vehicle and fled on foot; firing at the police as they continued their chase. 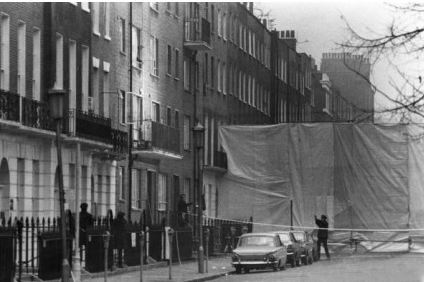 The terrorists eventually found themselves on Balcombe Street; a stone’s throw from Marylebone Station, and they proceeded to force their way into a block of council flats. The apartment in which they sought refuge was home to an elderly couple; John and Shelia Matthews. Apparently, the pair were engrossed in an episode of the popular 1970s detective drama, Kojack, at the time, and didn’t realise that the echoing gun shots were coming from the street outside- they thought the noise was emanating from their TV set! John and Shelia were held prisoner in their own home for the next six days, whilst the IRA demanded a plane to fly them to Ireland. However, the siege began to take its toll and, along with a number of psychological tactics employed by the police (including deliberate misinformation being broadcast on the BBC), the IRA cell surrendered, releasing the hostages unharmed. 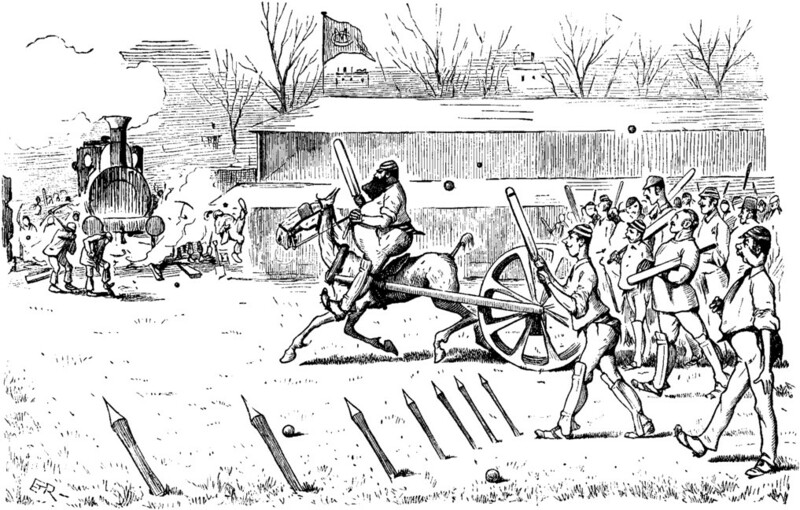 It transpired that O’Connell, Butler, Duggan and Doherty had been responsible for a large number of attacks across London; strikes which resulted in the deaths of 15 people. The IRA gang also claimed responsibility for the notorious 1974 Guildford Pub Bombing, and instructed their lawyers to draw attention to the fact that a number of innocent people (i.e. ‘The Guildford Four’) were serving “massive sentences” for the bombing. Despite this, the Balcombe Street gang were never charged in relation to the Guildford blast, and the innocent parties remained in prison. In 1977, the Balcombe Street Gang received hefty life sentences for their actions, but were released in 1999 as part of the Good Friday Agreement. 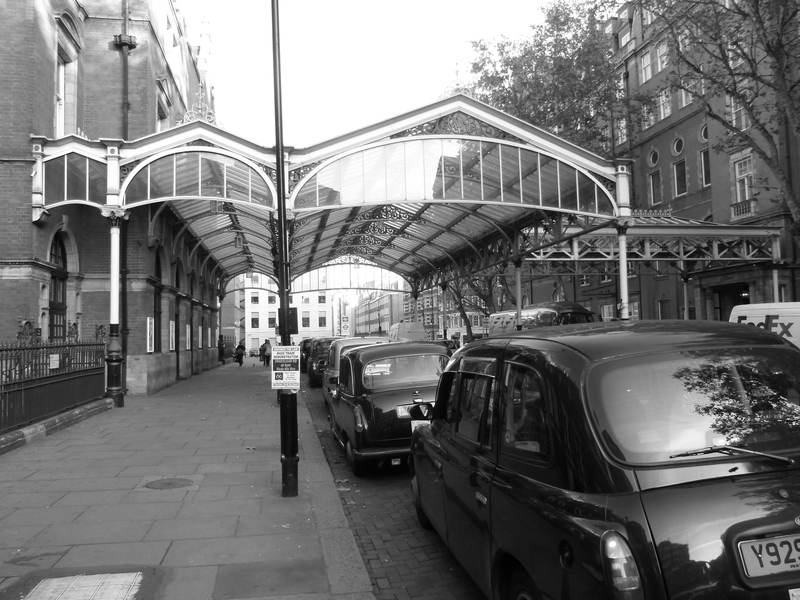 On a lighter note, Marylebone Station has been used many times over the years as a filming location for both film and television. Episodes of Spooks, Gavin and Stacey and Dr Who have all utilised Marylebone as a set… as has the U.S, Tom Selleck vehicle, Magnum P.I! A similar sinister event occurs at Marylebone in the brooding, 1965 espionage movie, The Ipcress File (starring Rotherhithe’s very own Sir Michael Caine). During the film’s opening scene, a government scientist is driven to Marylebone Station to board a train. However, once on board, he is kidnapped (in order to have his mind wiped), and his bodyguard killed. But by far the most famous movie to be filmed at Marylebone Station is undoubtedly the 1964 Beatles comedy, A Hard Day’s Night. In the film’s opening credits, the Fab Four are chased by fans along Boston Place (a road sandwiched between the station and Balcombe Street), before diving into Marylebone in an attempt to board a train. With their ‘Beatle-Mania’ crazed fans in hot pursuit, the loveable scousers are forced to employ all manner of deceptions and dodging around Marylebone in order to make their train in time.